For those who love delicious good smelling coffee, this is the gift! 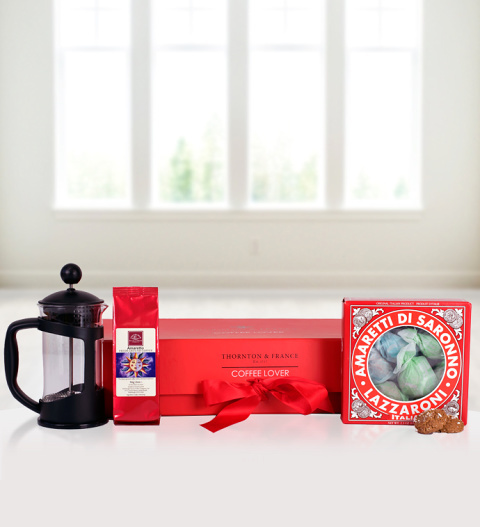 Complete with a cafetiere, fresh ground coffee and Lazzaroni Amaretti biscuits, it's a gift that's sure to delight. By Thornton and France, this gorgeous gift is presented in a Coffee Lover box and is available for UK next day delivery.